Hey everyone! I'm really excited to share with you my first project for the Ingvild Bolme DT! Here is the link to Ingvild's blog post. I will be doing videos each month for you using her amazing products! 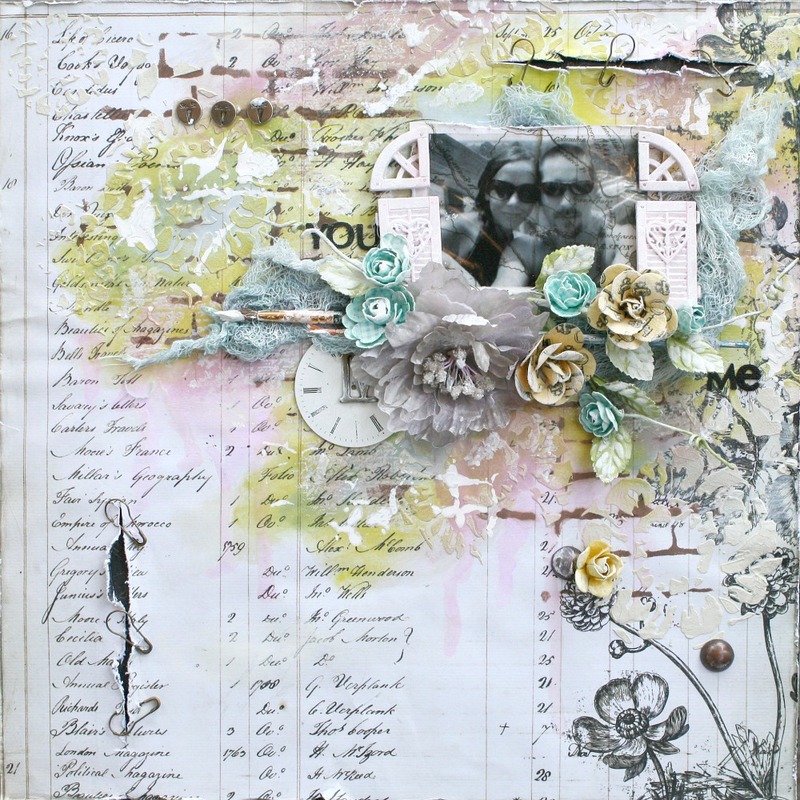 I created this layout, and the focus was on using her wonderful chalk edgers in the background. I have 2 videos on the process, one focusing on the techniques and the other just pulling it all together. Here is Part 1. The link to the second video is in this one :) At the bottom of the pix I have a list of all the products used! Hugs! Wow! Beautiful as always! I love all the details! Off to watch the video now! so beautiful Miranda!! love it!! great tutorial!! Love these Videos. I knew Id find you somewhere so I could still watch each month. But oh dear, another product line, LOL. Sadly I'm on lockdown at the moment, but I can definitely start my list. Love these resins, trinkets & definitely need more chalk edgers. Wonderful tutorial Miranda..fantastic page !! This is beautiful, Miranda! Love how you added some soft color -- so pretty! !